BIKI is the world's first bionic underwater drone that is also the only underwater robot featuring automated balance, obstacle avoidance, and return to base. By supporting a 4K camera, BIKI presents you with the best view from underwater. BIKI, the smallest but strongest. Through this intelligent robot fish, you can visualize the underwater world from a completely new perspective. BIKI is not only an almighty underwater drone but also a robot pet full of emotions. Now, just tell BIKI what you want to do! BIKI is the world’s first bionic underwater robofish. You can swim with the camera for 90-120 minutes and at a depth of up to 196 feet. Enjoy diving? What about swimming with BIKI to see the underwater wonderland. BIKI can be suspended in the water to swim with you. The underwater world contains unlimited mystery. By swimming at 1.12mph, BIKI can accompany you freely to enjoy in the underwater world. Curious about how deep BIKI can get into the water? Try it out. BIKI can accompany you to 196 feet maximum depth underwater. You will find a new underwater world beyond your expectations. What about a quiet but interesting underwater environment? BIKI can help. Swim with BIKI, you will be able to achieve the ultimate enjoyment under the water. 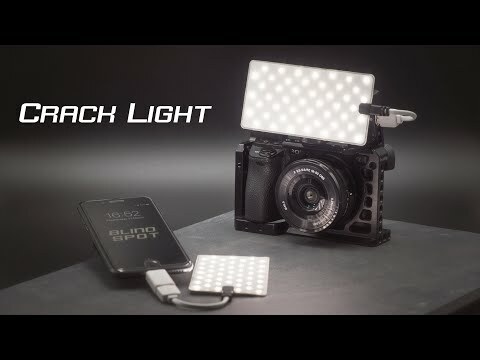 Even during high-speed motion or in darkness, BIKI is capable of stabilizing the camera for smooth videos and sharp photos by using a HD movement camera and an anti-shake camera platform that is based on an eccentric pan & tilt head. You got an iPhone to take a selfie. Do you also want to capture your underwater moment? Now here is BIKI. You will be able to capture the most beautiful moments in your life by shooting with BIKI’s powerful 4K camera. You might find the tiny BIKI is shaking and shaking. Are you worried about the camera’s stabilization? No worry. BIKI’s stabilization is improved by using an unprecedented HD movement camera set and anti-shake camera platform which is based on an eccentric pan & tilt head. Swimming with BIKI, you will never lose any details since it can capture every moment with 150° wide-angle lenses under the water. Thinking about darkness in deep water? Do you know BIKI is equipped with 2x114 lumens lights? Now, take a BIKI and find a deep underwater world you never knew before. No worry about power off. The battery of BIKI allows you to keep shooting for 90 to 120 minutes at one time. BIKI can save up to 32GB of 2.2 hours of video with 1080 pix, or 5243 photographs with 8 mega-pixel, or 4000 photographs. Like a dolphin, BIKI uses a bionic sonar echo-location process to locate objects in the environment. In this way, BIKI can be wireless. At the same time, you will be getting BIKI at the most affordable price. BIKI is more than a technical robot. Driven by the tail fin, it can moderate and control the direction of movement.The tail fin driven technology is based on reverse Von Kármán vortex street theory from fluid dynamics, which is a repeating pattern of swirling vortices caused by the unsteady separation of the flow of a fluid around blunt bodies. We capture the underwater world. But we also hope the mysterious world can be kept as peaceful and wonderful as it is before. By applying the technology of bionics and 55dB ultra-silent, BIKI can swim like a real fish and never disturb the underwater biosphere. More than a cold machine, BIKI can work more intimately with your family. Different from the traditional propeller underwater drone which has potential danger, BIKI can accompany your children into the pool and help monitor their safety with its unique bionic design. BIKI is not only an underwater drone, but also a family member full of emotions. It will attend to your whole life, witnessing your happiness and maturing. Now, what about playing underwater Quidditch with BIKI? Just tell it what you want to do. BIKI is the only underwater robot fish that applies the technology of infrared rays and features the functions of automated balance, obstacle avoidance, and return-to-base. BIKI is the most agile water fairy. No matter how complex the underwater environment is, BIKI can swiftly shuttle back and forth in the coral reef with automated obstacle avoidance via infrared ray. The Inertial Measurement Unit (IMU) and exclusive Autonomous Control Algorithm ROBOSEA™ allow BIKI to keep balance in the water, which helps BIKI be prepared to detect the boundless water world at every moment. You know what? The powerful BIKI is totally beyond your expectation. You are able to customize its route and let it swim as you set up. Free yourself with this smart robot fish, as well as protecting your buddy from getting too far. Anxious about losing your wireless buddy in the infinite sea world? The built-in GPS module makes BIKI automatically return to base and send a real-time location to your mobile devices. Wire control not only limits swimming space, but also disturbs the underwater ecological environment. By connecting Wi-Fi and sonic waves, you can operate BIKI easily with controller or apps on your mobile devices wirelessly and arrive anywhere without limitation. The little BIKI can shuttle back and forth in the coral reef and a lot of unknown places. BIKI, your best buddy accompanying you to everywhere in your underwater journey. Different from the traditional propeller-propelled underwater drone, BIKI can get into swimming pools and help you ensure children’s safety by adopting the technology of bionics. Want to take a selfie and keep the happiest moment under the water? Take a BIKI. You will be able to capture the most beautiful moments in your life. Now you have the most unprecedented experience under the water. What about sharing your unique story to the world? With BIKI, you can share your underwater moments anytime, anywhere on all sorts of social media platforms. By swimming with BIKI, you will achieve the enjoyment you’ve never had under the water. It is also a connection between you and your destiny. BIKI, the smallest but strongest; tiniest but the most important. Travel with your new buddy and establish your new friendship. In the past, traditional unmanned underwater drones made use of a propeller, which fills the underwater territory with noise – making it impossible for a drone to operate quietly in a swimming pool and accompany children. The idea of BIKI has arrived! What should an underwater robot fish look like? We see fish, the freest creatures enjoying the 80 percent of the secrets on this planet. To truly bring human beings into the underwater world, we were driven to create BIKI. The BIKI’s fishtail uses a super-firm, natural rubber and a high elasticity alloy to mimic the tail bone of a fish. Based on the IMU, Autonomous Control Algorithm ROBOSEA ™, and Kalman Filter Attitude Algorithm from fluid dynamics, BIKI is able to keep its balance in the water. Similar to a dolphin, BIKI uses biological sonar echo-location to find objects in the environment. In this way, BIKI can code and modulate operational orders through its power amplifier (PA) to propel an acoustic transducer, thus converting an electronic signal to an ultrasonic signal. Through any water medium, the transducer receives the sonic wave signal and transfers it to an electronic signal. Then, a digital signal processor decodes the signals and restores operational orders via digital signal processing. Thus, by adopting the different frequencies of sonic waves to control the trajectory, we do not need to use wires to control the underwater robot fish anymore. Chickens’ heads have always been uniquely stable. No matter how you shake their body, chickens’ heads can keep stability at all times. So this was adopted to demonstrate stabilization technology as a camera stabilizer in BIKI. By using a HD movement camera set and anti-shake camera platform which is based on an eccentric pan & tilt head, BIKI’s stabilization is improved. BIKI can launch sonic waves of different bandwidths through the internal transducer, which allows you to operate the camera in any water-medium, from the pool to the ocean, by using a controller. Control by app, BIKI can show you the underwater scenes at real-time in shallow water - or you can make BIKI dive into deep water by customizing the route and setting the depth. BIKI applies the technology of ABS crashworthiness and resistance-to-weathering glass fiber. Thus no matter what difference in temperature from 0 to 70°C (32-158°F), corrosive offshore environment, or under long-term sunlight, BIKI will always be kept in perfect condition. As the CEO of Robosea, Dr.Xiong Minglei was the major researcher in the intelligent control room of the engineering institute of Peking University. Dr. Minglei invented and developed the first underwater robot with dual reconfigurable tail fins, which was sailing in the Antarctic regions. The underwater robot played a significant role in the exploration into unknown territory. It achieved the smoothest underwater operation and gathered the water data via live transmission with the lowest cost and at the highest efficiency of underwater movement. The Antarctic adventure tour was a success, thanks to the underwater robot created by Dr. Minglei . We not only exceed the traditional unmanned underwater vehicles on the market today, but also hope to exceed ourselves. In the development of BIKI, we continuously debug the functional prototype. Finally, we are proud to announce we achieved the best and most powerful BIKI. How to capture pictures clearly when BIKI Robotic Fish is moving with its shaking fin? The IMU and exclusive algorithm ROBOSEA™ allows BIKI to keep its balance in the water, so the BIKI Robotic Fish can be used to shoot clearly underwater. How to control BIKI Robotic Fish if it's power off while swimming underwater? The built-in GPS module makes BIKI automatically return to base and send the real-time location to your mobile devices. How do you control BIKI Robotic Fish underwater without cables? The BIKI Robotic Fish can be controlled by remote control underwater - and you can make it easy to shoot what you want by programming a predetermined route for your BIKI Robotic Fish on your mobile phone. What are the advantages of the BIKI Robotics Fish compared with GOPRO? You don’t have to go diving to enjoy the beauty of the sea world. Just take a BIKI Robotic Fish. How does BIKI Robotic Fish work in underwater communication? BIKI Robotic Fish adopts the acoustic communication technique. How does the BIKI Robotic Fish shoot in the deep, dark parts of the sea? BIKI Robotic Fish has 2*114 lumen lamps to make it possible for users to shoot in darkness. Is it safe for children to use BIKI Robotic Fish? BIKI Robotic Fish adopts bionic technology and it is mainly powered by the fin so that makes it safe enough for children to play with BIKI Robotic Fish. How waterproof is BIKI Robotic Fish? According to Ingress Protection (IP) Rating, BIKI Robot Fish is measured as IP68 and protected from long term immersion up to a specified pressure. How far is the remote control’s range for the BIKI Robotic Fish? BIKI Robotic Fish can be controlled remotely at up to 10 meters (about 33 feet) beyond the remote control. How to transmit images from the BIKI Robotic Fish? BIKI can transmit real-time images from the water. It will record images first when swimming under water and you can see what was captured on your app with Wi-Fi when it gets back.